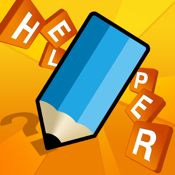 Draw Something Cheats + Helper is the fastest and best app to help you win at Draw Something! It also has the most up-to-date list of words from Draw Something. Simply enter the letters from the word you are trying to guess into the app and it will instantly calculate all possible answers for you! Only words used in the Draw Something app are returned. To find the target word even faster, you have the option of filtering the results by word length! Download Draw Something Cheats + Helper now and start winning at Draw Something!! ★ Unlimited use and free updates! ★ Universal app! Buy it once and install it for free on your other iPads and iPhones, and iPod touches.